The Mexican beautyberry, Callicarpa acuminata, is a beautiful plant. It is a shrub about 6-7 feet tall with white flowers and both white and black berry varieties. Its more famous cousin in the United States, the American Beautyberry, has white or pink flowers and bright purple or white berries. 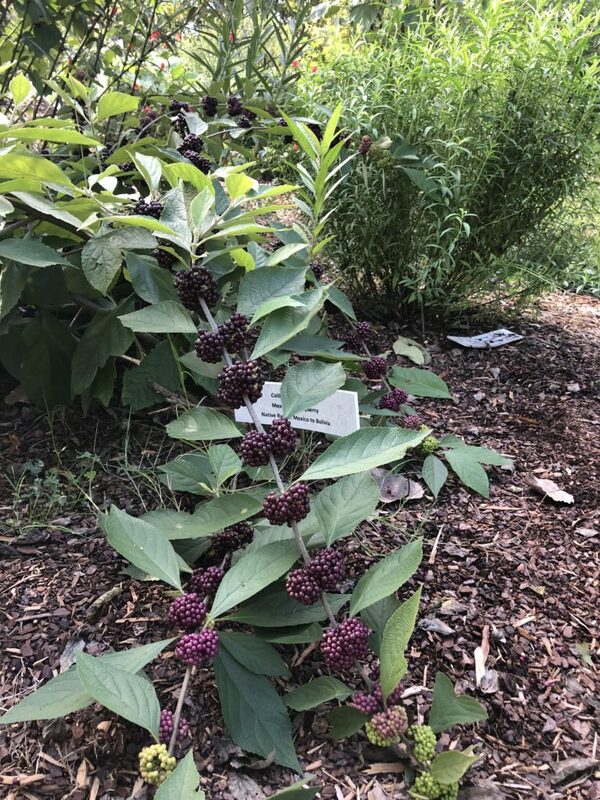 Both plants are grown in gardens for their attractiveness—in fact, the Mexican Beautyberry is most often grown for its decorative allure. The fruit tastes slightly bitter and can cause nausea in some cases, though the jam is generally enjoyed. That being said, the most common documented use for C. acuminatanoted in literature is as a tea which is drunk to help with diarrhea or vomiting. The tea is often taken with sugar. A similar plant, C. macrophylla, is also used to help with diarrhea. The leaves of C. acuminataand other members of the Callicarpa genus are being researched into for potential use as mosquito or insect repellent. Certain compounds produced by the plant work together to deter insects, and this property looks promising for the eventual development of an insect repellant from chemicals from the plant. Overall, C. acuminata is a beautiful testament to the incredible things nature provides. Even though it is not a well-known or widespread plant, its potential uses and current abilities are numerous. It is one of the many plants people would do well to learn more about. Hossan, Md. Shahadat, et al. “Ethnobotanical Survey of the Tripura Tribe of Bangladesh. (Original Articles)(Report).” American-Eurasian Journal of Sustainable Agriculture, 2009, p. 253. Anaya, Ana Luisa, et al. “Allelochemical Potential of Callicarpa Acuminata.” Journal of Chemical Ecology, vol. 29, no. 12, 2003, pp. 2761–2776., doi:10.1023/b:joec.0000008019.22063.5c.